Long Island, NY’s #1 dumpster rental company, for all of your junk & debris removal needs. Are you cleaning up the clutter in your home and looking for a way to dispose of all the junk or yard waste? Are you working on a construction project and looking for a way to dispose of all of the debris? Are you renovating your house and looking for a way to get rid of your construction and demolition debris? No matter how big your recycling project or construction and demolition project might be, S&A Container Service has a dumpster for you. S&A Container Service provides open top roll-off rental dumpsters for all of Long Island and the five boroughs of NYC. 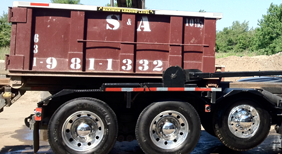 Our affordable rates, expert customer service, hassle free scheduling and decades of experience make S&A Container Service the ‘go-to’ dumpster rental service for your construction debris removals, recyclable materials, yard waste, and household cleanouts. For roll off dumpster rental in Long Island and NYC, we offer dumpsters for rent from 6yd – 40yd and even half-yard (3 feet) mini containers. S&A Container Service has you covered for any construction and demolition project of all sizes. With our dedicated customer support team, we ensure that any dumpster rental is conveniently suited to meet your exact needs. Call S&A Container Service at 631-648-9088 for pricing or questions regarding dumpster rental for your upcoming dumpster rental in Long Island and NYC needs including Nassau County, Suffolk County, Queens, Brooklyn, Manhattan, the Bronx, or Staten Island. Other cities we serve include Bay Shore, Hampton Bays, Dix Hills, Farmingdale, Hicksville, Riverhead, Ronkonkoma, and Smithtown. No matter where you are in Long Island or New York City, we’ll be there with the perfect dumpster for your construction and demolition cleanup project. 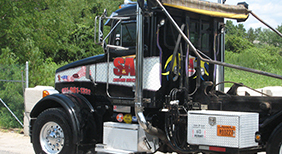 Whether you’re starting a household cleanout project or working on a construction or demolition job, S&A Container Service can provide you guidance, customer support and excellent pricing. Give us a call today at 631-648-9088 or request a quote to see how S&A Container Service can help with your dumpster rental in Long Island and NYC project! 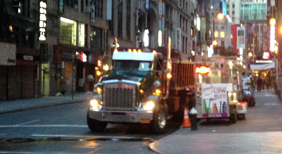 We’ve solved construction and demolition hauling problems for Long Island and NYC residents and businesses since 1962. As an established and affordable dumpster rental company here on Long Island, we’ve helped local people with everything from removing debris from construction sites, to property and garage clean outs, to basement flooding debris removal and landscaping debris. Ask S&A Container Service for a free estimate or reserve a dumpster today. Fast service to residents, construction site managers, and business owners is our specialty, and we can usually accommodate short-notice requests within reason.